Sugar Land Academy after school clubs for second semester will begin January 14, 2019. 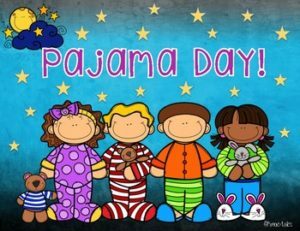 Registration for after school clubs will ONLY be accepted through “SchoolsBuddy (online only)” followed by payment at the front office ONLY. 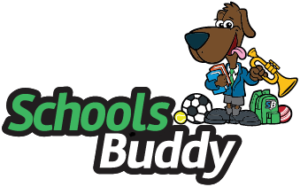 If you are interested in signing-up your child(ren) for an after school club, please log into SchoolsBuddy, activate your account if you have not already done so and register your student. Thereafter, please submit payments at the front office. Note: Front office will ONLY receive payments and will not be able to register your student(s). Registration for after school clubs will be from Wednesday, December 12th through Sunday December 16th. After December 16th the registration process will close. Thereafter, parents can start making payments from December 17th through December 21st and January 7th through January 10th at the front office ONLY. 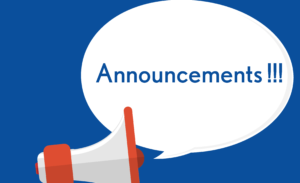 After school clubs and activities will run from 3:05 pm to 3:45 pm or 4:00 pm – 5:00 pm depending on your student’s club preference on either Monday, Tuesday, Thursday or Friday. Club Fees are non-refundable and requests for club transfers will NOT be honored. Club Fees vary depending on the number of clubs your student(s) is signed up for. Club discounts are posted below. Forms of payment acceptable are: Credit Cards, Checks and Money Orders ONLY. NO CASH will be accepted! For additional information on clubs pricing, times, and days please see our front office personnel. Note: Some clubs are based on test selections/academic competencies while others are on a first come first serve basis. After School club Registration deadline is Sunday, December 16th. We are going to use the preference system that SchoolsBuddy enables. This requires you to make Up to 5 choices across the week. P1 = First preference / Highest Priority. Please rank activities 1-5 (up to 5), that your child would like to take part in. The system will allocate your child a place based upon a random selection if the activity / club is oversubscribed. 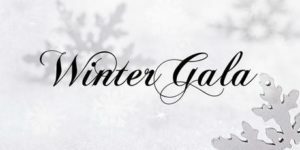 This is just a friendly reminder that our annual Winter Gala is Thursday, December 13th from 5:00 pm – 8:00 pm. 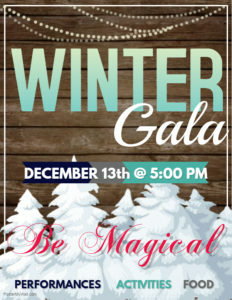 Come with your family and enjoy a night of Magic! 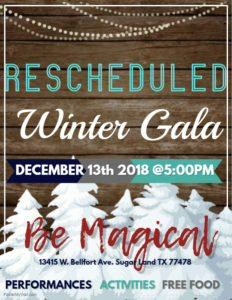 Please note, the concert will take place from 5:00 pm – 5:30 pm followed by the Gala festivities.